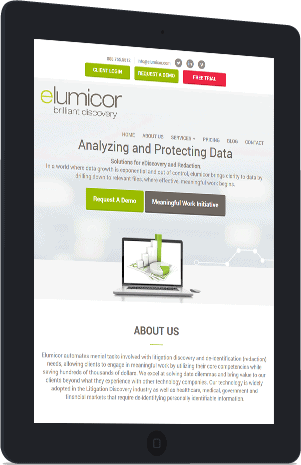 Elumicor automates menial tasks involved with litigation discovery and de-identification (redaction) needs, allowing clients to engage in meaningful work by utilizing their core competencies while saving hundreds of thousands of dollars. 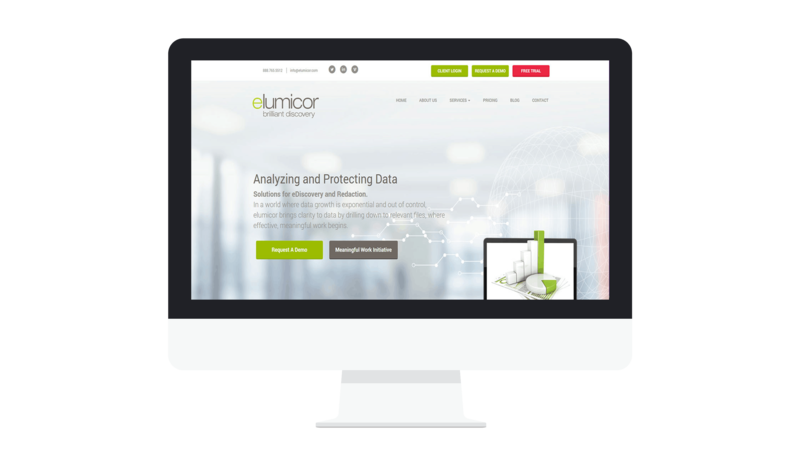 They needed a website that reflects the value they add in the legal process. VND setup a fully managed, responsive WordPress site, with mass email marketing and Salesforce CRM integration. A sophisticated website that fully integrates into the business and ranks first on Google search results.